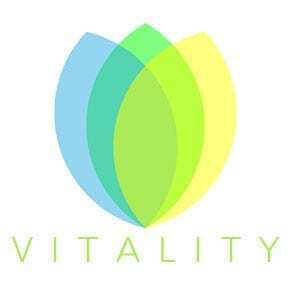 Once you have registered and been accepted as a Vitality Health CBD affiliate you will be provided with a unique affiliate link in the following format (https://www.vitalityhealthcbd.com/ref/youraffiliatenumber/). Please direct all referral traffic to this link in order to generate sales commissions. If you have not received your link please check your spam or junk folders as certain email applications will sort automated emails there. We recommend that you “white list” emails from @vitalityhealthcbd.com. The Vitality Health CBD referral program is an affiliate referral program, and should not be confused with any type of MLM as it does not provide any downline functionality what so ever. Upon approval, each individual affiliate is provided an equal opportunity to earn commissions based on the number of orders they generate through traffic referred via use of their unique referral link. Affiliates will only receive commissions generated by their unique link, there are no exceptions. Each time your unique affiliate referral link is successfully used by a customer to complete an order online you will earn 25% commission calculated off of the retail value of the sale (shipping and taxes excluded). In the case that a coupon is used in conjunction with a sale the value of the coupon will be deducted from the total commission payable on that particular sale. (Example, a customer uses a 10% off coupon. In this case the total commission payable is 15% calculated as follows; 25% – 10% = 15%.). All unique affiliate referral URLs, when clicked, activate a 30 day cookie on a potential customers computer for the original or first referring affiliate. This means that the first affiliate link used (be it yours or another affiliates) to access the Vitality website will receive any credit or commissions generated from that referral for a period of 30 days. If you wish to circumvent this from happening please direct your referrals to clear their cache and delete all cookies from their browsing history prior to clicking your unique affiliate URL. Once a customer has been assigned to the first referring affiliate we cannot change the original referring affiliate (there are no exceptions). After an order is placed, affiliation and commission cannot be reassigned due to privacy, there are no exceptions. Once your affiliate commissions account balance exceeds $100 you may request a payout by emailing pay@vitalityhealthcbd.com. Payouts are made on the 1st and 15th of each month and payout requests must be received no later than 48 hours prior to the desired payout date. Vitality Health CBD does not currently provide affiliate support via telephone or email. Our sales department are currently working on compiling a detailed affiliate resource centre to handle affiliate requests.